I've written elsewhere about my discovery of irony, but today I wish to remember my discovery of criticism. When I took the record home and got it open, I discovered something odd: the inner sleeves, which for all the other records I owned were made of plain white paper, were covered by photos of clippings from newspaper and magazine articles about the band. Some of these were in a genre familiar to me: denunciations of rock-and-roll music as an instrument of the devil or an enemy of traditional morals. But others were puzzling: one person commented on Mark Farner's off-key singing — a comment amply justified by the recorded evidence, as I was soon to learn — and another said that Don Brewer's drumming sounded like "someone fluffing pillows." I recall such phrases all these years later because they struck me at the time as being so strange. I knew that there were people who might criticize a drummer for being too loud, but I had no idea that there were people who would lament — in print! in a professional publication! — that one was too soft. I kept looking at the phrase, trying to see if I could assign another meaning to it that phrase, but in the end I had to accept that here was a writer, a real writer apparently, complaining that a rock-and-roll drummer was playing like a sissy and needed to give those skins some serious thumping if he was going to earn the writer's respect. This was how I discovered criticism. It wasn't criticism of books, or classical music, or art, but of really, really crappy rock-and-roll music. Only at that moment did I come to understand that there are people paid to offer evaluations of other people's cultural or artistic productions. But little did I know that one day people would pay me for that kind of work. I don't believe the idea crossed my mind at the time. And once I figured out what was going on there, I figured out something else: that, bad as Grand Funk was as a band, they had someone pretty sharp putting together those record sleeves. Because the clear implication was that people who said that the members of the band couldn't sing or play were absolutely equivalent to those who denounced rock music as the devil's playground. 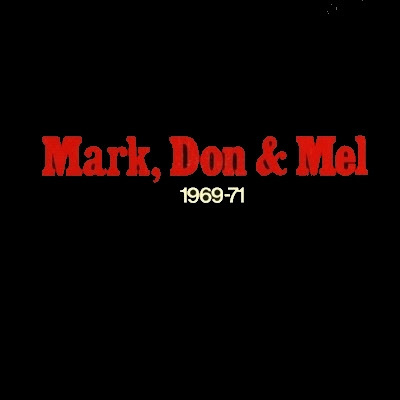 Nice one, Mark, Don and Mel! Did you just say Grand Funk Railroad was crappy??! Maybe they were fashion-impaired, but I'm not so sure about crappy, Mister. Ummm . . . I'm sorry? No, seriously, if you can't say that GFR was crappy, who can you say was crappy? Yeah, you're right; they're crappy. (I should have checked my facts more carefully. More funk, less railroad, please.) I just pictured you as more of a P Funk All Stars kind of a fan. Well, now, Parliament/Funkadelic is a whole different story, let me assure you. . . .
What about Blood, Sweat & Tears (and I don't just mean their rejection of the serial comma)?